A successful award winning vineyard in excellent condition, with great potential for conversion to an oenotourism project. This is a simply stunning property and the complete oenotourism package! The current owners have created a wonderful place to live, delightful guest cottages and a very successful wine business. 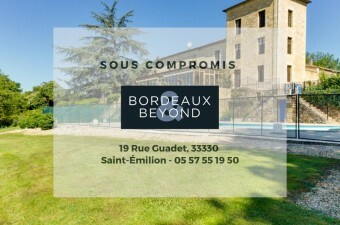 In the heart of st Emilion this property is extremely desirable. The vineyard is in excellent order, the chai and supporting agricultural buildings are all well-equipped and functional. A property that presents a very interesting opportunity. BOUTIQUE HOTEL et RESTAURANT. 19th Century Chateau set in 4 hectares of land with spectacular views including 4 suites and 12 bedrooms, restaurant, conference room, manager's house and pool.